The year is 2027, the world has collapsed but Britain soldiers on. 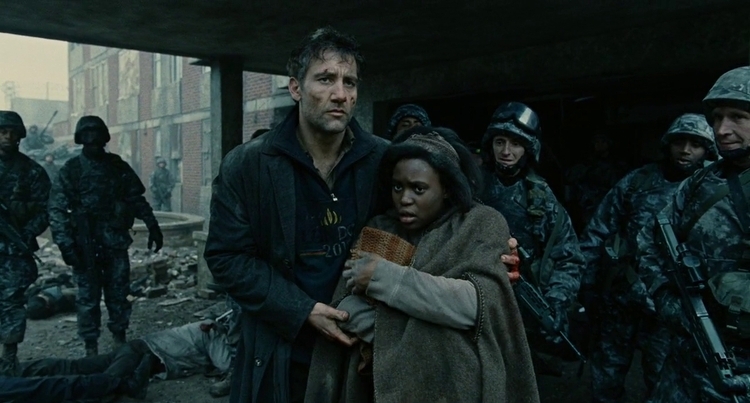 Alfonso Cuarón's Children of Men has seemingly only increased in significance and appreciation since its release in 2006. Based loosely on a P.D. James novel Cuarón imagines a world that has lost hope because of human infertility but this only the narrative starting point for an aesthetically and thematically layered dystopian nightmare. Discussion of the film's many social, cultural and political elements sometimes takes away from the fact it is a brilliant piece of action cinema with an aesthetic immediacy and depth of world-building, that has become a signature of Cuarón's filmmaking. We screened the film at Kings College London and would like to thank PhD Student Joseph Jenner for organising the event and co-presenting the screening with Dario. Dr Racquel Gates is assistant professor of Cinema and Media Studies at the College of Staten Island. She is the author of Double Negative: The Black Image and Popular Culture (Duke, 2018). For the latest episode, Racquel talked to Neil about her book and a number of other topics including contemporary black screen art and criticism, Eddie Murphy, Halle Berry, Whoopi Goldberg, Black cultural scholarship and the Academy, Empire, Reality TV, Sorry To Bother You and lots more. Racquel was very tolerant of Neil’s rambling enthusiasm for her work and the ideas and thoughts it spawned in him. Her book is incisive and entertaining and as a thinker Racquel expertly discusses texts while understanding the fluidity of ideas and issues around flaws, problems, virtues and areas of scholarly note. This conversation is one of our favourites. It gets into some really fascinating areas and touches on black film history and the wider contexts of the contemporary moment. We hope you enjoy it. Here’s a link to the book Racquel mentions whose title gets lost on the episode due to a drop in the Skype signal - Horror Noire by Robin R. Means Coleman. A link to Wesley Morris on the Longform Podcast and his NYT essay, and the Harper’s Podcast Like This Or Die, all of which are referenced in Neil and Dario’s chat around the central conversation on this episode. Our long-awaited final episode in partnership with the BFI’s Comedy Genius season is finally here and it’s a doozy. Compiled over the last few months as the national season was taking place between November and January, this episode sees a diverse range of film critics, academics, filmmakers and an illustrator (as well as Neil and Dario of course) sharing some of their favourite comedy films and performances. This episode was envisaged as a joyous journey into screen comedy and our guests have picked a range of performers from cinema (as well as television and stand-up comedy) history to reflect upon. 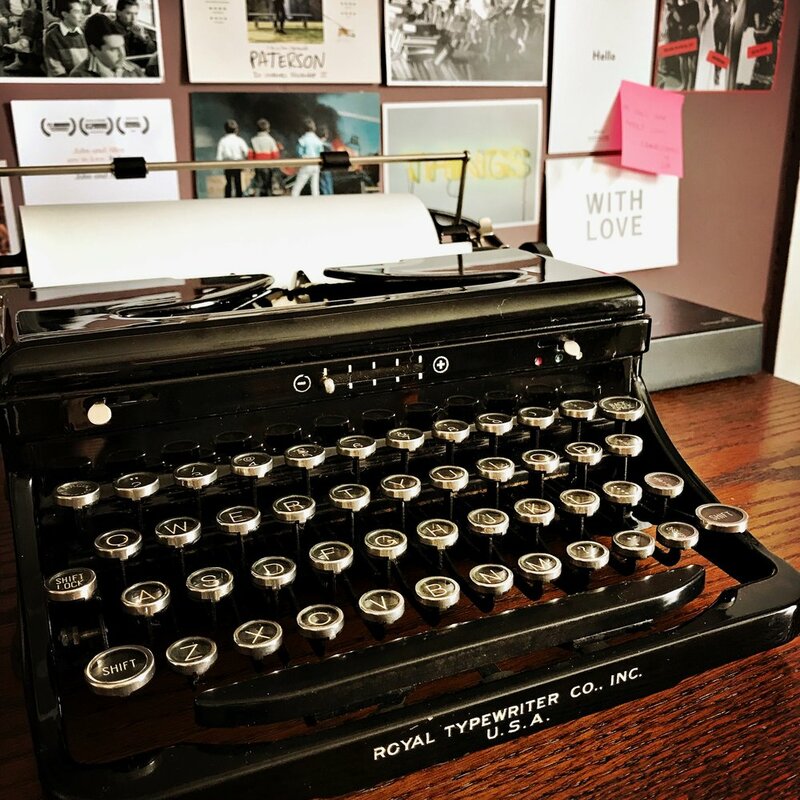 We hope it serves as a reminder of the joy and importance of laughing and the innate and deeply personal connection that audiences have with screen comedy. Thanks to the BFI FAN Network for supporting the making of this episode. Thanks also, to our amazing roster of participants who shared their time and their love of comedic performances in all different shades. The Wile E. Coyote cartoon featured in this episode can be viewed here. The final episode of our Berlinale trilogy is a continuation of Neil’s travels around the German capital watching films and talking to filmmakers and critics, and a culmination of Neil and Dario’s reflections on the festival and the films they both saw. The pair discuss Andre Hörmann’s Chicago boxing documentary Ringside and the episode also features some of Neil’s interview with the filmmaker as well as a section of his chat with Kim Longinotto, whose film Shooting The Mafia Neil and Dario discussed in the first Berlinale episode. Neil also shares his thoughts on the PJ Harvey documentary A Dog Called Money, the Colombian genre-bender Monos, the Kino Lorber revival of Bette Gordon’s Variety and the finally revealed to the world concert film masterpiece that is Amazing Grace. Film critics sharing their time and reflections on this episode are Rhys Handley, Ian Mantgani and Kambole Campbell. Thanks to everyone whose contributions have made these three episodes possible including, and maybe especially, Kingsley Marshall of Film at Falmouth. Part 2 of the Berlinale trilogy sees Neil and Dario discuss film festival podcasting, the films Baracoa and BAIT to coincide with interviews conducted by Neil with the filmmakers behind those films, Pablo Briones and Jace Freeman, and Mark Jenkin respectively. The episode also features Neil’s chats with film critics Elle Haywood, Ella Kemp, Neil Young, Megan Christopher and Steph Watts. Finally, the episode also features Neil’s in the moment reflections on a number of films he saw. The first episode of Season 9 sees Dario and Neil duke it out over the merits and problems of comedy, finding themselves on opposite sides for the first time in a while. They are put in this position by guest programmer Ryan Gilbey whose choice of Amy Heckerling’s 1995 comedy Clueless. New Statesman film critic Ryan joined Neil onstage at The Poly in Falmouth to introduce the film and discuss it with the audience. Prior to the event Ryan also wrote a blog over at the New Statesman about the film. Around the live discussion Neil and Dario talk about the function and role of comedy, subjectivity and form and whether it’s a genre that is more prone to becoming dated than others. They also bond over Debra Granik’s Leave No Trace and Ozu’s love of fart jokes. The episode is the second of three being produced in association with the BFI for their Comedy Genius season and the live event was also made possible thanks to Film at Falmouth, Falmouth University. Let us know which side of the debate you come down on! You can rent or buy Clueless globally from a number of different sites including Amazon, iTunes, Google, Rakuten. You can stream it in the UK on NowTV or SkyGO. In our final episode of 2018, we look back over the cinematic year and discuss the movies that have impressed, affected and stayed with us. 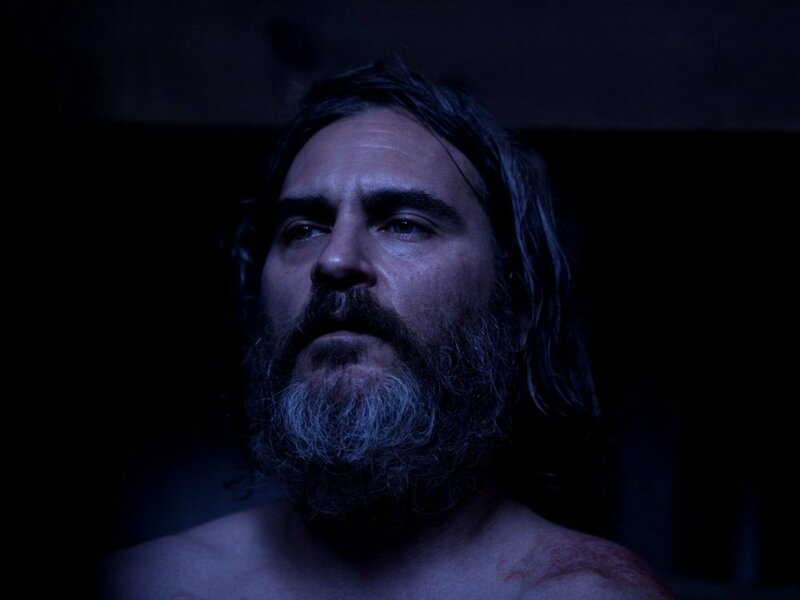 We came up with the list independently but there are specific films and themes that emerge, particularly the fact that we both chose Lynne Ramsey's You Were Never Really Here as our film of the year. We hope you enjoy this look back and a big thank you to our audience for the continued support. We look forward to discussing more cinematic delights in 2019. For the last regular episode of 2018 we are teaming up with the BFI and the UK wide comedy genius season for a deep dive into a Marx Brothers classic and a discussion about the craft, calibre and character of comedy. As the official podcast of the BFI Fan Network supported season we are presenting several episodes on film comedy and we kicked proceedings off with a screening at The Poly in Falmouth of Groucho and Co’s classic 1933 satire Duck Soup. The episode also includes Neil in conversation with a variety of figures from across the UK talking about the Comedy Genius season. They are season coordinator Annabel Grundy, artistic director of film at HOME in Manchester, Jason Wood, and Come The Revolution’s Edson Burton. 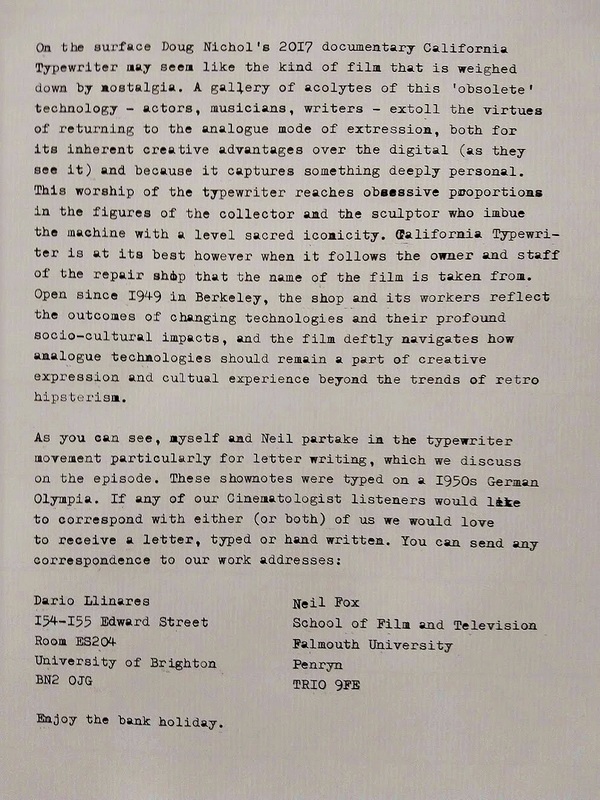 Come The Revolution are a film collective based out of Bristol. Annabel talks about the aims of the season and BFI national programmes like it, and Jason and Edson discuss the themes and approaches they have taken and share some of their programming highlights. For more info on the amazing work being done by these amazing programmers and for more info on what’s going on around the country for this season, click the links above. For this episode, Dario was invited to the University of Chichester by Programme co-ordinator of Media and Communications Dr. Adam Locks to screen Spike Jonze's 2013 sci-fi drama Her. The discussion lived up to the reason for selecting the film, throwing up many points of analysis related directly to genre, performance and production design, but also provoking wider philosophical questions that linked to conversations we have been having on the podcast recently. Certainly, the film tapes into concerns around the influence of technology on our everyday experience and Jonze creates a world here that is unerring familiar, along with ethical questions about the potential influence of AI on how we perceive the self. Also at the heart of the discussion is the materiality of the voice which is a particularly interesting subject from a podcasting perspective. Neil and Dario expand the discussion to talk about the film in the context of Spike Jonze's previous work and the perpetual crisis of masculinity. Dr Adam Locks teaches in the Department of Creative & Digital Technologies at the University of Chichester. He is co-editor of the book Critical Readings in Bodybuilding (Routledge, 2011) and co-author of The Basics: The Body (Routledge, 2014), both of which examine the body through aspects of the media. He will be launching an interview based podcast early in 2019. 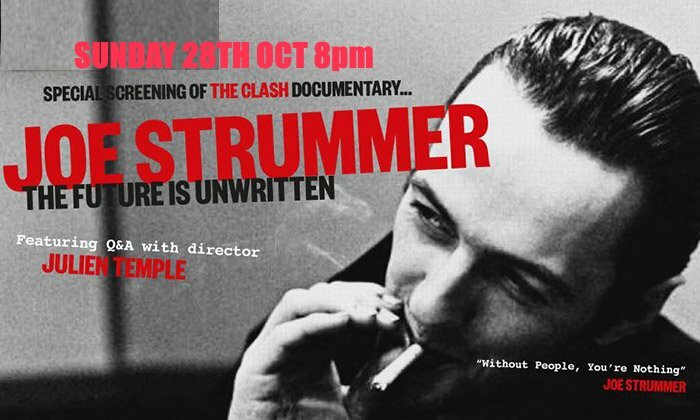 On the latest instalment of the podcast, Neil shares the stage with one of his filmmaking heroes, director Julien Temple, before and after a screening of Temple’s 2007 film Joe Strummer: The Future Is Unwritten. It’s a film with significant personal meaning for Neil as the episode explains. The film was screened on 35mm at Truro’s WTW Plaza Cinema and was made possible by the support of Kingsley Marshall at the School of Film & Television, Falmouth University. The episode also sees Dario discuss how the film made him think differently about punk and the pair get into the politics of music documentary regarding issues such as the representation of female artists and global music cultures. There’s also talk about the latest film culture developments surrounding the demise of Filmstruck and the dominance of Netflix and how sadly all this stuff may not be anything new at all. This episode also features the song ‘Afro Cuban Be Bop’ by (Joe Strummer &) The Astro-Physicians. Taken from the film I Hired A Contract Killer (dir. Kaursimaki, 1990). Available officially for the first time on the recent release Joe Strummer: 001. The film is available to rent or buy on Amazon and iTunes and is available on UK/US DVD and Blu-ray.